I brought back a lot of Whittaker's chocolates from New Zealand. 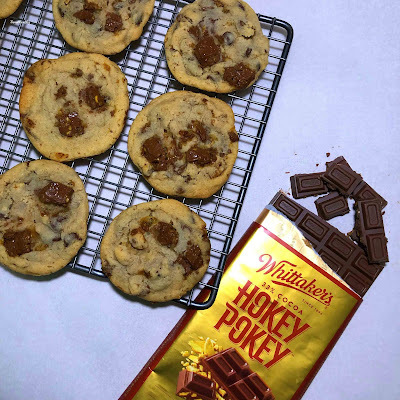 Included in my chocolate stash were several blocks of Whittaker's Hokey Pokey bars, so I decided to bake cookies with them! 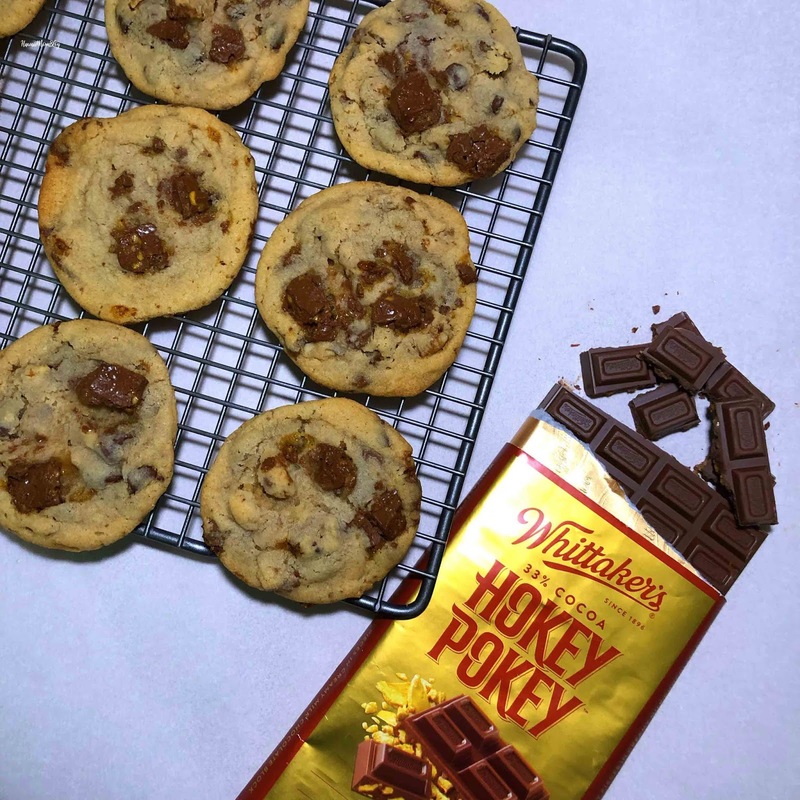 The Hokey Pokey chocolate consists of honeycomb bits to give the cookies a nice crunch. These cookies are crispy on the outside and chewy on the inside, just the way I like them! In a separate medium bowl, combine the flour and baking soda. Add the flour mixture into the sugar mixture and combine. Stir in the walnuts, chocolate chips, and chopped Hokey Pokey. Drop dough by rounded tablespoon onto a baking sheet.